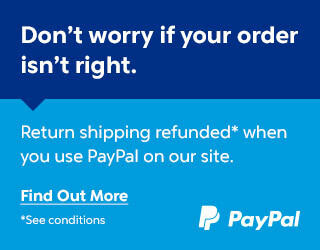 Packages are generally dispatched within 2 days after receipt of payment and are shipped via Export Suivi with tracking and drop-off without signature. If you prefer delivery by Colissimo Extra with required signature, an additional cost will be applied, so please contact us before choosing this method. Whichever shipment choice you make, we will provide you with a link to track your package online.